Most people are familiar with how an individual’s credit history works. It’s a number that reflects a combination of a person’s income, the amount of debt, and track record of paying past debts. These and several other factors determine creditworthiness. In a similar way, business credit scores tell financial institutions and high-risk merchant account providers the creditworthiness of your company. Here’s an overview of business credit scores that includes how they’re determined, what impacts them, and how they influence your business’s financial services. 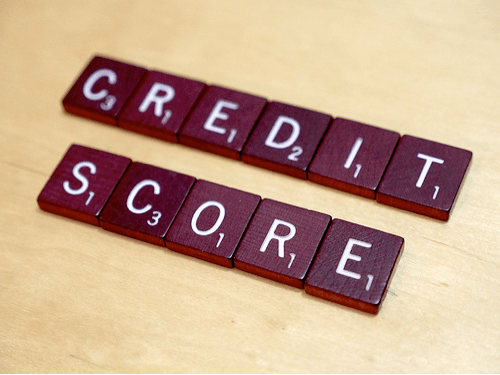 How Are Business Credit Scores Determined? Banks and other financial service companies want to know how much risk is involved in investing in your business, and the credit score tells them that. Business credit scores come from several entities including Dun and Bradstreet, Fair Isaac Corporation, and Equifax, among others. Each scorer has its secretive methodology for determining business credit scores. However, some general categories influence scores. The riskiness of the industry in which the company operates, the business’s size, its history with securing and maintaining lines of credit, payment history, and its longevity are some of the factors that help determine a credit score. How Is a Business Credit Score Different From Personal Credit Scores? For one thing, the scores fall into different numeric ranges. Businesses receive scores between zero and 100 while personal scores go from 300 to 850. Some scoring entities go beyond a credit score and offer additional metrics to paint a clearer picture of a business’s risk. Credit rating companies for individuals use the same algorithm for setting scores. It varies from firm to firm for determining business credit scores. Privacy also differs. A person’s credit rating is private while anyone can view a business’s score if they’re willing to pay for it. How Can You Raise Your Company’s Credit Score? While you may be familiar with ways to improve personal credit scores, you may wonder how you can establish or improve your company’s rating. If your business is new, you can request a federal employer identification number (EIN) from the Internal Revenue Service at no cost. This number enables you to open a bank account and get phone and Internet service for your company. Your EIN also allows proprietors to set up a business credit card and secure a line of credit with a vendor from whom you buy supplies. Both of these steps help you move closer to establishing your company’s financial track record and achieving a solid score. For companies that are already in business, scores tend to be higher after they’ve been in operation for at least two years. Paying your company’s bills on time and avoiding any interactions with collections agencies also bring up your score. Another way to improve your business’s creditworthiness is to service your debts promptly, paying them off ahead of time when possible. With a careful plan, it’s possible to build or repair your business’s credit score. It’s a critical part of ensuring your business has access to the financial tools it needs to grow.